In-Service days are teacher-training days that are held prior to school starting, during the school year, and at the end of the school year. This is an opportunity to bring in consultants, experts in specific fields of training, and for staff members to work together on such topics as grading, report cards, textbook adoptions, curriculum writing, and so on. This year new teachers and returning teachers will be attending in-service on August 29 - 31, 2017 and February 23, 2018. 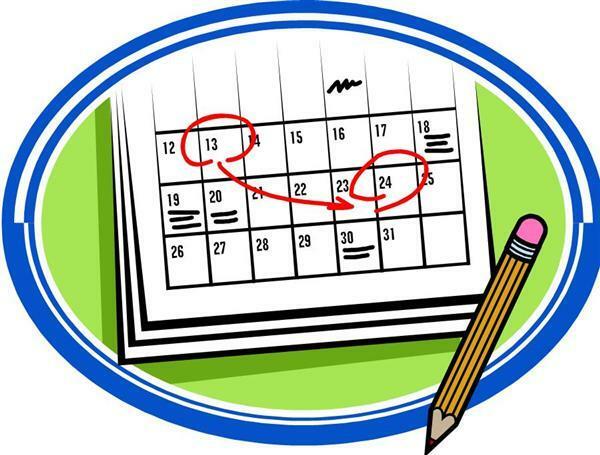 A school calendar is linked here for all families to make note of other professional development days and early release days. The 4K Program will not have school on Early Release Days. Before and after day care is provided in each school building until 6 PM. This program is also available on in-service and early release days.